Extremely friendly and ever smiling staff (nurses, maids and support staff) made our stay “more” exciting and cherishable at Cradle Koramangala Thanks.I will definitely recommend this hospital to all my friends. Excellent service, very healthy and clean environment which I remember the most. 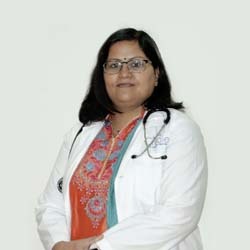 Dr. Rashmi Chaudhary gave me and my husband great guidance all through my pregnancy. I surely will recommend Apollo Cradle and over all service was excellent. Overall it was a pleasant and smooth experience. Didn’t expect so much care and support from all the staff, doctors and everyone here. Delivered my baby at Cradle Koramangala; Nurses and doctor support was good, really satisfied; my doctor was very good and help us lot. We are grateful to my gynecologist Dr Rashmi Choudary,who had been supporting throughout my pregnancy. Special mention to night duty sisters and the duty doctors, also the lactation consultant – Ms. Shreya for giving us counselling on nursing. More than the medication, your soothing words and caring services help us recover soon. Thanks a lot. Keep continuing. Good bless you all. Special thanks and heartfelt appreciation for nursing staff @ Apollo Cradle who has been truly exceptional. In fact, the whole nursing team has been really helpful and supportive. Big thanks to my doctor. Excellent job on the part of doctor and staff. Enjoyed every moment. Thanks a lot Apollo Cradle Koramangala. Thanks Dr. Rashmi Choudhary and Cradle Team for Excellent job during my delivery. Housekeeping guys, nursing facilities and doctors have been very friendly and caring and helpful@ Apollo Cradle Thanks a lot. Hospital environment has been very good, neat and peaceful.